I've had many happy accident's experimenting with variations on this recipe. Add the veggies you have on hand, the cheese you prefer and I promise that you'll have a crowd pleaser. Best part is you can savor this dish warm or cool and it tastes even better the next day. Enjoy! Yum, looks delicious! I have been staying away from meat for a little bit now and I might just have to make this recipe! Yuuummy! 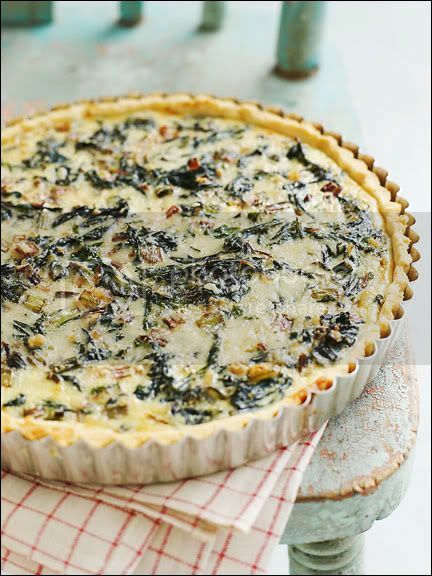 I have never made a quiche, but maybe I should give this one a try - looks delicious! It does look yummy and pretty to serve. I just came across a Cafe the other day and saw a vegi quiche too. Maybe I'll try some next time. I love quiche, I will have to this out! Maybe this weekend! Thanks. This looks so good. Yummmm!!! Have a great weekend.